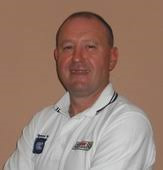 Steve Hames has been appointed by The Football Association of Wales as a Regional Referee Development Officer to cover the area of Gwent. His main aim is to give referees that have the potential to progress to the highest level an in depth course of training to achieve their aim. Steve will work closely with the Association and especially our Association Referees Officer, to make this venture a success.